By Angela Best-Boss, Evelina Weidman Sterling, Jerald S. Goldstein, M.D. Angela Best-Boss, Evelina Weidman Sterling, Jerald S. Goldstein, M.D. 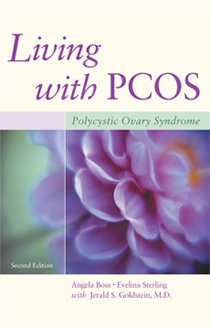 It’s estimated as many as 10 million American women have PCOS—polycystic ovary syndrome. Most of these women have never heard of the hormonal disorder, but are often painfully aware of its symptoms: irregular menstrual cycles, excess facial and body hair, weight gain, and adult acne. PCOS is also a leading cause of infertility. If left untreated, the condition carries long-term risks for endometrial cancer, diabetes, cardiovascular disease, and stroke. A winner in the 2011 National Health Information Awards! Living with PCOS was awarded the Silver Award in the “Patient Education Information” category.